Don’t we just all love lying in the sun or a tanning bed; that great feeling of warmth caressing our skin? 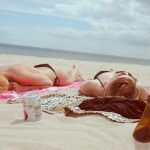 Relaxing… For most people, sun bathing or indoor tanning is a very enjoyable experience. 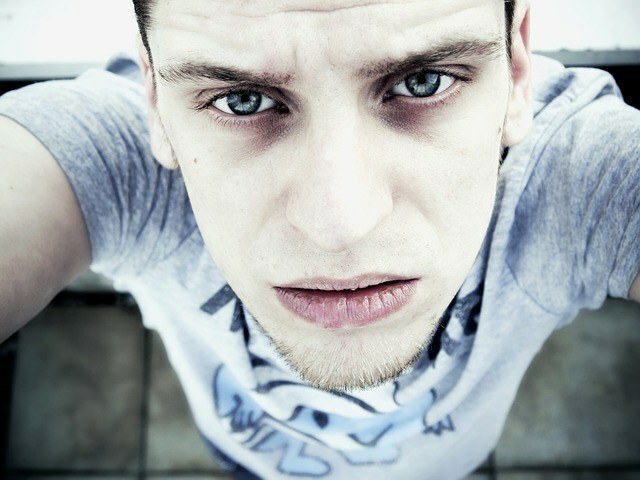 For the ones among us with pale skin, this wonderful experience can turn into a nightmare. Sometimes only a few minutes of UV light hitting the pale skin can be enough to cause a sunburn. If you still want to enjoy the sun while getting a wonderful sun-kissed tan, you need to use the best tanning lotion for fair skin. There are different kinds of tanning lotions. Self tanning lotion for fair skin, otherwise called Fake Bake will give you a fantastic tan if you use it correctly. It usually uses bronzers to give you a glamorous tan without ever being exposed to UV rays. For that reason, it is also called a fake tan. It will not prevent sunburn. 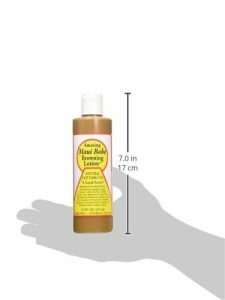 If you want a real tan, you need an indoor tanning lotion, also knows as tanning bed lotion, if you decide to go to a tanning salon. An outdoor tanning lotion, also referred to as suntan lotion for fair skin, will be used if you go out into the real world and enjoy that glowing ball in the sky, the sun. Some tanning lotions for fair skin are even suited for both, indoor and outdoor tanning. 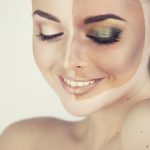 Since we want to protect our fair skin from a sunburn while still enjoying the benefits of natural or artificial sunlight, we will not talk about the self-tanners here. If you are interested in them, read our article about self-tanners. We already talked at length about the dangers of indoor tanning as well as sunbathing. Here are some quick tips to follow to get a long lasting fabulous tan, without getting a sunburn. Exfoliate: Even if you do not want to get a tan, exfoliation is a great way to keep your skin healthy and young looking. In terms of tanning, exfoliating will help you to keep that awesome tan for a longer time, because it removes the outermost layer of your skin, which consists mostly of already dead skin cells. Exfoliate before your first tanning session. Use sunscreen: This might sound counterintuitive because a sunscreen is supposed to block UV rays, but it cannot entirely prevent them. It also depends largely on the Sun Protection Factor (SPF). 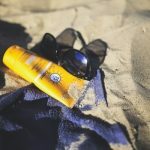 For tanning with pale skin, you should start with a high SPF and then apply a tanning lotion for fair skin on top of it. The best tanning lotions will accelerate the tanning process, so you do not have to spend as much time in the sun. Some tan accelerators or tan enhancers already come with SPF, but usually not high enough for people with fair skin. Use fake lotions: If you want to get sun-kissed tan that isn’t permanent, use the self tanning lotion for fair skin. The best tanning lotions for fair skin were created especially for your preferences. You can easily enjoy natural-looking glow without exposing your sensitive skin to sun light. Moisturize: Keeping your skin hydrated is not only necessary for tanning, but the overall look and health of your skin. Use the best tanning lotion for fair skin that already comes with a good moisturizer. After the tanning session use an after sun lotion. If you are still not ready for sunless tanning, use the temporary bronzing options. We do not list any lotions that contain a bronzer. A nice self tanning lotion for fair skin might give you the false perception of more safety from the sun. A bronzer will give you a tan even without any sun exposure. For that reason, we only included real tan accelerators in the list. Although, calling this a list might be a bit far stretched. We decided only to promote two products here. These are all you need. 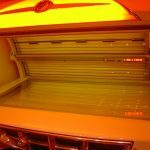 So what is the best tanning lotion for very fair skin? You may find the answers below. 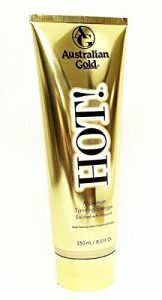 The Australian Gold Hot Maximum Intensifier is one of the best tanning lotions for fair skin on the market. Not only is it suitable for sunbathing and tanning bed usage, but it also comes with an excellent moisturizer. It is great for absolute beginners and people who already established a base tan. Consumers give it raving reviews on Amazon with an astonishing rating of 4.7 out of 5. The Maui Babe Tanning Lotion has a long standing tradition and actually originates in Maui. It accelerates your tanning amazingly fast and can also be used indoors and outdoors. For only about half of the price of the Australian Gold Maximum Intensifier, you cannot get a better product for that price. Maui Babe also offers an awesome beach pack, which includes a sunscreen, the tanning lotion for fair skin, and an after browning lotion. The perfect combination to get the perfect tan in a short time.